Hill banana is a plant of very common occurrence in the hills of North West India at elevations between 800 to 1500 m. This part has climate ranging between subtropical and temperate. The summer temperatures are around 30-32 C and the winter temperatures can go down upto -3 C. Many areas in this part also receive mild snow fall once or twice the season. So hill banana is a very unusual banana. It is growing in this area which should not be a “banana area” considering the usual behavior of the common commercial banana varieties. It is certainly different in its behavior and has a trait of cold resistance. Surprisingly, this banana is not known at all outside its habitat even in India. 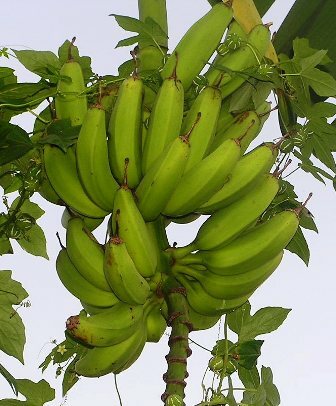 The plants are of medium height banana plants and do not look different from the plants of commercial varieties so far as pseudostems and leaves are concerned. There is no apparent single distinguishing feature that might separate the hill banana from the commercial bananas. The fruits are thicker and larger sized than the common commercial cultivars like Poovan and Morataman. Bunches are, however, not very big. So this banana seems to be less productive. The reason for this difference may be the lack of care of plants. All the hill banana plants are growing just all by themselves and are not looked after at all. The productivity might improve if these plants are grown and looked after like cultivated plants. 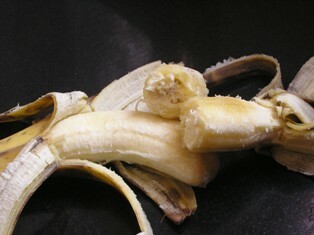 The difference between a hill banana and commercial bananas, however, lies in pulp and fruit quality. The pulp of hill bananas is not as dry as that of commercial types. It is more watery and is less erect after peeling off the skin. It is somewhat leathery and does not break easily. The taste is also slightly different. It is sweet but with a tinge of sourness. There is feeling of heaviness in stomach after eating two fruits. So these bananas cannot be eaten as much as the commercial bananas. The hill banana used to be the only banana available in the hills till 50 years ago when the other banana was not reaching there due to lack of roads and adequate goods transport facilities. So this was used like other bananas. Things changed drastically in India during the past 50 years and now the bananas from South and West India are available in the fruit shops of even every small village. So the hill banana is not in much demand now. Some fruits are still offered for sale at some places. 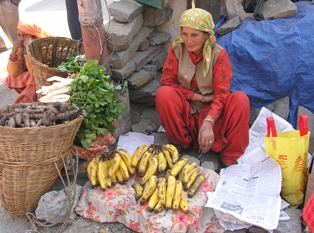 This banana is also used for preparing a sweet vegetable curry eaten along with rice in the hills of the Indian state of Himachal Pradesh. 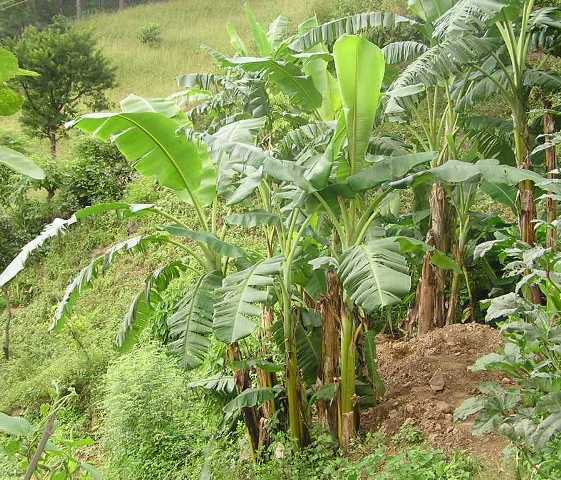 Hill banana plants are still planted in the back yards of village homes. There are some important other uses of a banana tree besides food, especially in religious ceremonies. So this banana is going to stay in spite of the competition from commercial bananas from tropical parts. This banana can be planted in the areas which are too cold for the commercial tropical banana varieties. 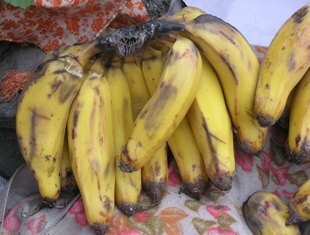 Hill banana is a valuable genetic resource and it should be utilized.